Hulu’s Stephen King thriller Castle Rock is still in its infancy, airing its sixth episode on Wednesday. But the show, like many a King novel, has already proved to be a hit—it sits at no. seven on our ranking of the best shows on TV right now. 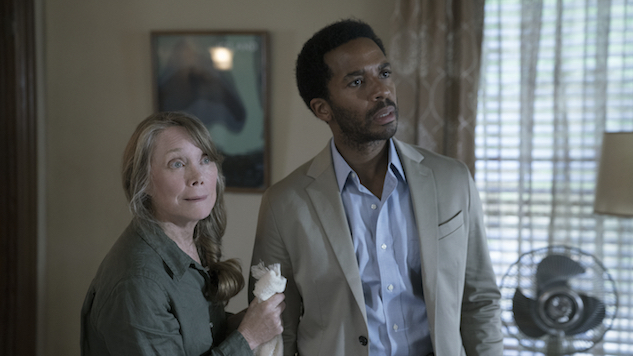 Hulu has recognized the J.J. Abrams-produced series’ staying power, too: On Tuesday, the streaming platform announced Castle Rock is getting a second season. Castle Rock was Hulu’s biggest original premiere ever, racking up a record number of views in the two weeks following its July 25 launch, per The Hollywood Reporter. There’s no word yet on a season two release date or episode count. However, there’s speculation that the returning season may feature an entire new cast. Andre Holland, Melanie Lynskey, Bill Skarsgard and Sissy Spacek starred in season one. Executive producers Sam Shaw and Dustin Thomason are set to return for the sophomore season. Each season is going to be its own self-contained story: beginning, middle and end. But I think that just as the books do, we want to surprise viewers with the ways in which the stories intersect. Just as the places the characters pop up in very unexpected ways throughout the books, that’s the kind of anthology that we would like to tell. One of the things about the King universe or multiverse is that some very strange things can happen when it comes to the ways that the stories unfold, and hopefully there’ll be surprises along the way in terms of how the anthology works in that way. It’s pretty delicious that Kathy Bates played both Dolores Claiborne and Annie Wilkes when you really think about that question in the movie adaptations. But I think that there’s something for us about being faithful to the way that Steve does it in the books, that almost feels like the anthology format has already been laid out for us. The psychological thriller takes place in an eerie corner of Stephen King’s multiverse in Maine, a frequent setting for the author’s tales of crime and horror. Holland plays Henry Deaver, a death row attorney who returns to his hometown, where locals believe he is the suspect in his father’s murder. Watch the season one trailer here.